Christmas Gala Concert - Áine Mulvey, M. Mus. 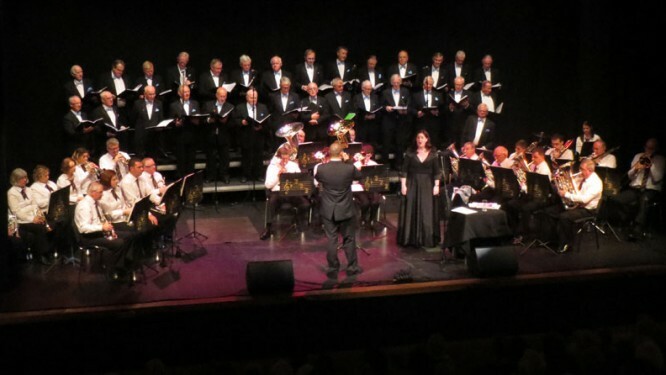 The Blanchardstown Brass Band and the Dublin Male Voice Choir combine their talents for this Christmas Gala Concert in aid of the Coolmine Therapeutic Community. Sit back, relax and enjoy the arrival of Christmas at this evening of yuletide fun and Christmas favourites. Featuring solo items and audience participation this promises to be an evening that will appeal to people of all ages and bring a sprinkling of Christmas magic. Music Directors: Zdenek Ondrousek & Áine Mulvey.